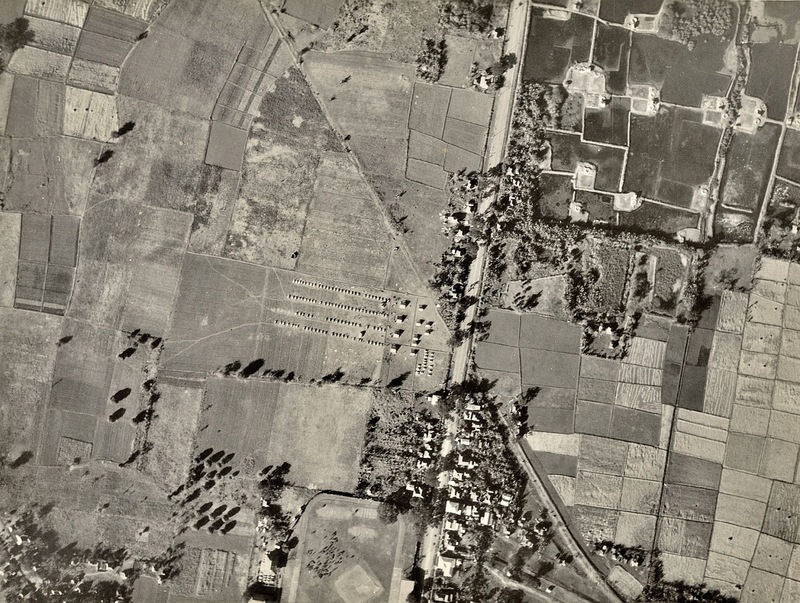 Aerial Photograph of United States Army maneuvers in Batangas, 1930. Image source: United States National Archive. The approximate coordinates given were 13° 45'N 121° 04'E which seem suspicious because these self-same coordinates were given for other pictures taken in apparently different locations. However, because the United States Army maintained facilities in what was then Batangas-Town, it is possible that the maneuvers stated in the caption were being held in that town.